Chimo 90W is a bull that does so many things right. We selected this bull from the Dorrance’s as their high selling yearling bull in 2010. 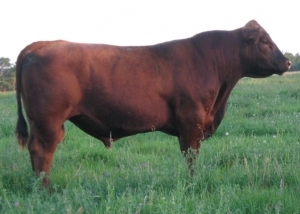 This hersire has the perfect blend of calving ease, performance and structural integrity. Chimo is a wide based individual that displays an abundant muscle pattern. The High Capacity daughters are known to be highly productive mama cows with the ability to raise top quality calves.